HOUSTON (KTRK) -- A woman was killed when she was cut off by an 18-wheeler driving on the 610 North Loop. It happened around 11:00pm last night at the exit to Irvington. Police say the driver of the big rig was carrying a roll of steel and tried to take the exit. 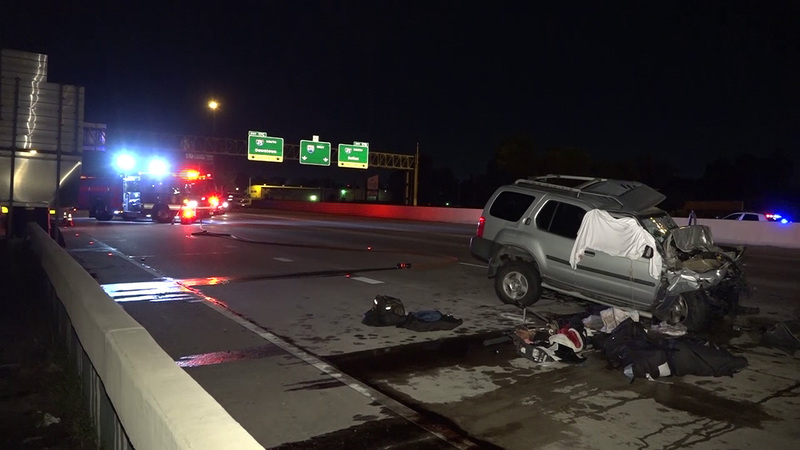 The driver then changed his mind and cut back onto the freeway right in front of an SUV. A 24-year-old year old female driver of the SUV then slammed into the back of the semi truck. She died at the scene. The driver was the only one in the SUV.